What do I do if I need something fixed in my apartment? You can call the office during regular business hours Monday thru Friday at 507-376-3655. Or you can call 507-360-8944 or 507-360-8945 after hours and on weekends if it is an emergency and cannot wait until regular business hours. What is considered an Emergency Maintenance Situation? Emergencies are something that poses an immediate threat to, Life, Heath, or property damage. An Example of this would be a toilet overflowing onto the floor that will cause property damage if not repaired immediately. Another example would be No Heat in your apartment in the winter time. If Maintenance repairs something and I am not home how will I know if they fixed it? 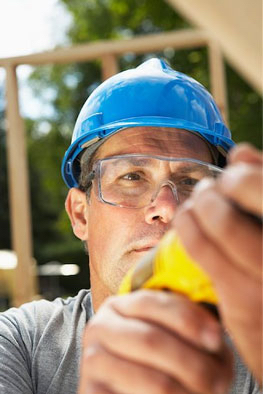 Maintenance will typically leave a note indicating what was repaired at your home. What Do I do if I am locked out of my apartment? During regular business hours please call the main office at 507-376-3655. After hours you must contact HRA staff at 507-360-8944 or 507-360-8945 to have your apartment unlocked after regular business hours. There is a $25 fee for after hours service. Will I be charged for repairs made to my apartment? Residents are not charged for repairs of items that are normal wear and tear to their apartment. If the damages are caused by tenant negligence or tenant abuse, the tenant will be charged for the cost of the repairs.